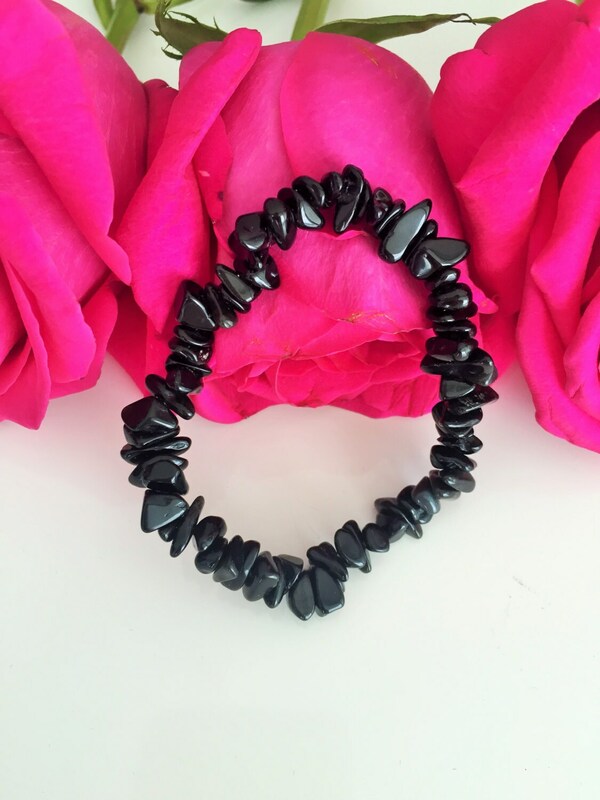 Black Obsidian Bracelets can be used as an amulet to protect against negative energy. 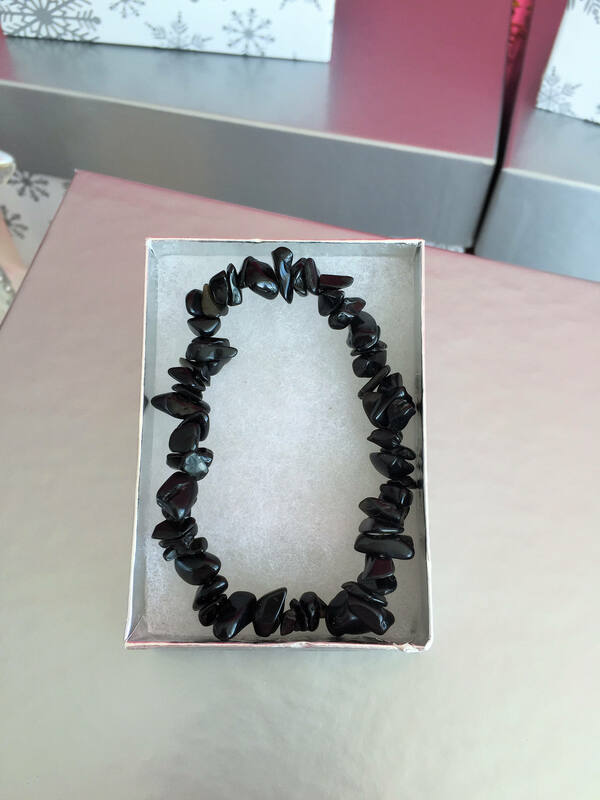 These shiny black gemstone bracelets are light weight. Created when a volcanic flow is cooled very quickly, into what Geologists call volcanic glass. 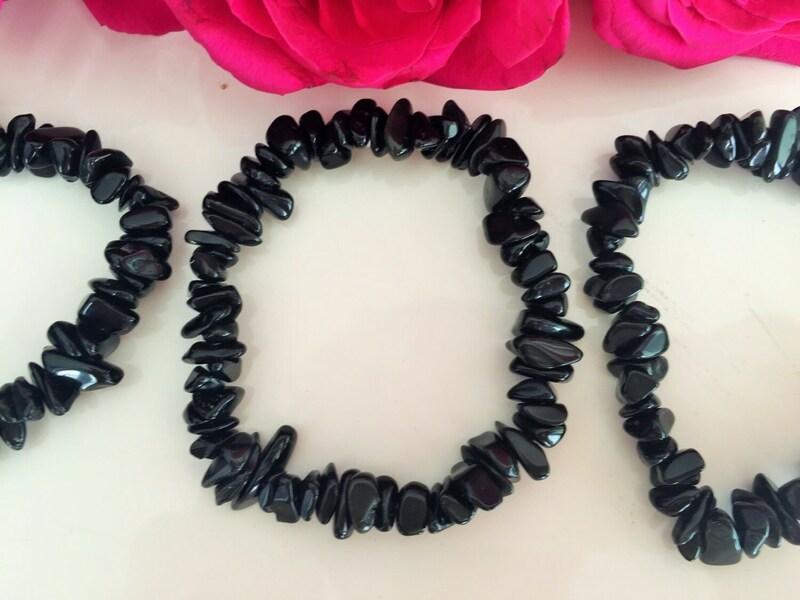 Black Obsidian is a very powerful gemstone that every-person can benefit from wearing. 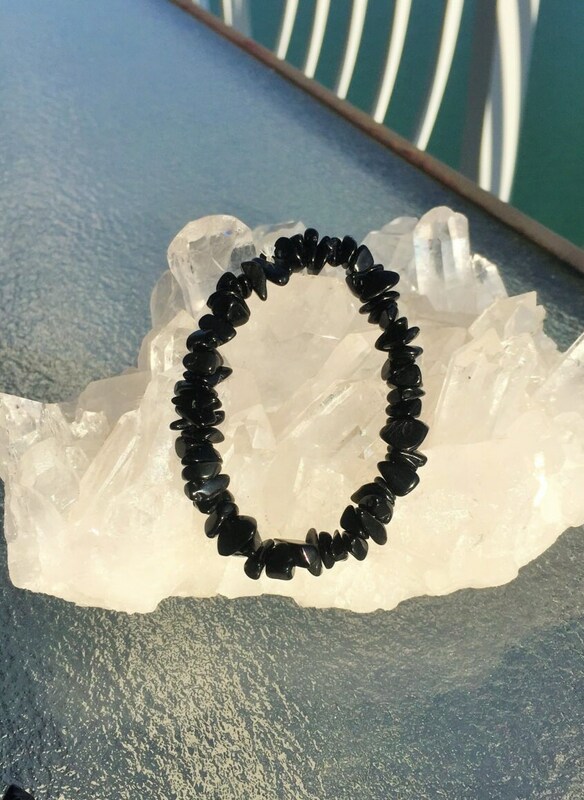 Black Obsidian keeps an electric charge, as it is piezoelectric (meaning it can generate electricity when heated), as well as piezoelectric (meaning it can store an electrical charge), causing it to release negative ions and far infrared radiation - these are very beneficial for health. This incredible stone is associated with protection, grounding, health, happiness, luck, and positivity. Great bracelet!! Thank you!! Love it! gorgeous!!!!!!!!!!!!!!!!!!! thank u!! wear it all the time! I love my Black Obsidian Bracelets! Thank you!